I have been a wedding officiant in Los Angeles for many years, and I have officiated weddings of all kinds, including civil weddings and religious weddings, all over Los Angeles County and Orange County in many Culver City Wedding Locations. 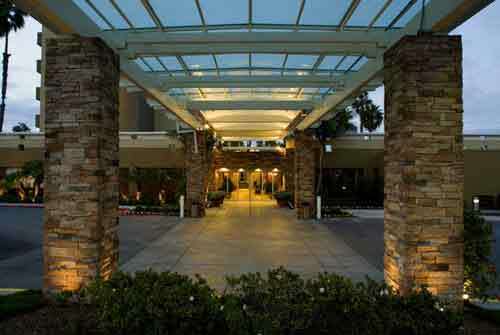 Some of those weddings have been at Los Angeles Westside Four Points by Sheraton, a wonderful Southern California wedding venue that you might consider for your wedding. Four banquet halls for small weddings of 20 to larger weddings of 200. Convenient to LAX for out of town guests and to the 405 freeway. The staff can provide wedding services, reception catering, and tour assistance for your guests. 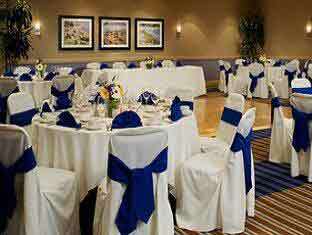 The Four Points by Sheraton believes that everything on your wedding day should be relaxed and easy. To serve that purpose they offer a range of benefits including a complimentary wedding night suite for the bride and groom. You will also receive a gratuitous champagne and sparkling cider toast. At your reception, you and your guests will enjoy the creations of the Four Points’ impressive culinary team. They will work with you to build a menu of your dreams. When you confirm your wedding ceremony and reception you will receive a fee menu tasting. And to ensure that everyone has a great experience your guests will receive special room rates.